At Catchpoint, we work very closely with our clients and love hearing how they use the system and how it helps them. Recently we heard from Kelsey at WhippleHill Communications. We started working with Whipplehill back in early October. Besides providing Web Performance Monitoring, we also provided one on one Web Performance Optimization consultations; where we share our experience in Operations, Monitoring and Web Performance Optimization. So we rolled up our sleeves, monitored, analyzed and made some recommendations. “Catchpoint is really well put together and easy to use. It has taken the guess work out of performance tuning. Since we’ve started using Catchpoint it’s been very easy to measure the impact of changes made to our application code and hosting infrastructure. The ability to run tests and collect metrics from many different ISP’s and locations gives us real world insight that would otherwise be impossible to get. The way the user interface is setup makes it real easy to spot a problem and drill deeper in to get the details. 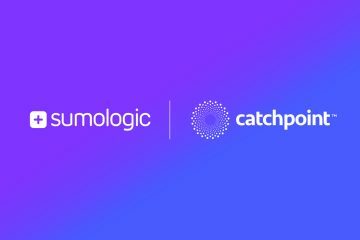 Of equal importance to the product itself is the willingness of the Catchpoint team to share their expertise. In spending time reviewing performance waterfalls with Catchpoint, Mehdi and his team were able to point out problems and help us focus in on the changes that would make the most impact. 1. Performance increase on one of our home pages after hooking up Catchpoint and making recommended changes. 2. Impact of issue with our CDN… without Catchpoint we would not have been aware of this and our users would have suffered poor performance for longer period of time.